Top 5 Tips To Work An Aries Makeup Style! Share Aries Makeup Style With Rams! Those born under the Aries constellation can work a truly gorgeous makeup style! But what are my top beauty tips for Aries babes? 1. Embrace Your Baby Face! As the first sign of the zodiac Aries is often compared to the newborn baby: demanding, loud and heartwarmingly innocent. Their naivety is often expressed in their open faces, and a baby-faced look is truly an Aries thing! Born around the Spring Equinox the Aries zodiac sign heralds new beginnings at the start of the astrological cycle. All the signs that mark the beginning of the seasons are dubbed Cardinal, and tend to be the more action-orientated, the doers of all the signs. As the Cardinal Fire sign Aries has a particular daredevil streak – feisty! Mars ruled they’re daring, brave and their dynamic, initiating character is complimented by the color red. Read more in Aries, Ravishing In Rouge and remember, red is a power color! Make the most of your brows with a strong look. Aries rules the head and has a particularly prominent forehead and often striking eyebrows! Totally on fleek, there’s currently a flurry of guides to enhance the look and shape of this beauty feature, and you’ll totally be channelling the Ram if you work this beauty trend. Read more in Aries, Behold The Brow. Aries is the most assertive sign with a direct nature that means she’s always on the move. 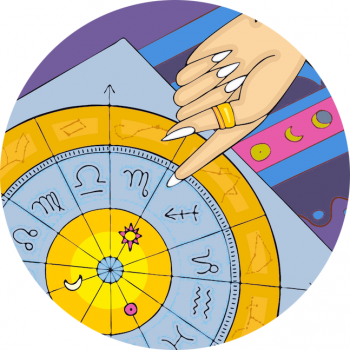 This zodiac sign is fast-paced, if you can’t keep up then fall by the wayside! A warrior queen, she’s got her sights set on more than her makeup bag, and is often in a rush to finish. Therefore, she suits a look that’s far from perfect – she can totally work with a dishevelled edge. In Aries–mode your beauty is enhanced when you work up a sweat. A sign blessed with enthusiasm, initiative and drive – why not reflect the Aries fighting spirit and feel the passion and punch?! Get in the ring and work out some aggression with a true Arian sport: boxing. As the moon-Venus in Aries singer Rihanna states: Shine bright like a diamond. The zodiac birthstone for this sign is definitely the diamond – great under pressure, found in rough spots and very, very precious! Adorn thyself with diamonds just like Rosie, and you’ll align with the bright-eyed zodiac sign, amazing ARIES!